These are the most common insurances accepted by Dentists in Arcadia, CA. My wisdom teeth started bothering me and I knew it is time to take them out. I scheduled an appointment for consultation and Dr. Kuo was able to remove my wisdom teeth on the same day. I don't feel any pain. His assistant Vanessa was very helpful and friendly. Highly recommend Dr. Kuo to anyone who needs dental services!. Brian Y Kuo DDS is where I go for all of my dental needs. The staff are courteous/professional, and Dr. Kuo is very knowledgeable. 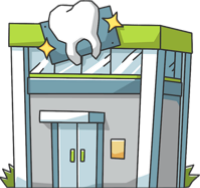 I've been going there for almost 2 years now, and I don't see myself changing dentist offices ever. My hygienist is amazing, and very easy to talk to. She was able to answer any of the questions I had, and made the overall experience effortless. Dr. Kuo is also a great doctor to work with. I had been looking at orthodontic treatments, and he was able to answer my questions, as well as provide me with some orthodontists that he recommended..
We have been with Dr Snaer for 10 years. Each visit is positive and refreshing. My kids love to come to the office and have always been taken care of so well. The practice for preventive dental care is at its best, daily brushing and flossing is re-enforced with the kids so effectively, it is not hard to get kids to brush and take care of their teeth. Dr Snaer gives details to explain the treatment, health of teeth and answers our questions with ease. A consistent and pristine dental practice!!!. Dr. Hwang started working on my son's braces a few weeks ago and what I thought would be a terrifying experience for a 9 year old turned out to be a very easy and pleasurable experience. As we pulled into the parking lot, my son hesitated to come out of the car for fear of pain and discomfort. Lol. But Dr. Hwang and her staff made him feel very comfortable and easy and a few hours later, he was all smiles. Thank you Dr. Hwang for your amazing work!!. We enjoy coming to the dental office..
A totally professional and cordial experience with the least discomfort possible..